Helping people build products that provide a great UX. Since 2016. User Experience, a.k.a. UX, is more important than ever. It's the experience that people have when they are visiting your website, trying one of your application demos, interacting with your "software as a service" solution, and so on. Data Alliance highlights a few key stats in the graph below. Of course, UX isn't limited to the tech sector. User experience is involved whenever we use our microwave ovens, for example. And hopefully, their designers did a great job, allowing us to reheat a pizza using as few steps as possible, in an intuitive way. When was the last time you had a great user experience? Maybe it was a website which allowed you to find and purchase a product in less than a minute. Or maybe it was a customer service system which has allowed you to go straight to the desired department in less than 10 seconds. How awesome would that be? Sadly, we can get very frustrated whenever we have a poor experience while we are interacting with various services. Often times, we have to spend dozens of minutes on the phone, only to be told in the end that we've called the wrong department. So, going back to the technology sector, how can we ensure that people who use our solutions have a great UX? Well, by designing those products with our users in mind, of course! Here are a few tips that will help. 1. Learn to create intuitive products. Yes, you should design web and desktop applications, websites and web services that basically explain themselves. If you need to create hundreds of pages of documentation for your product, it means that you've made it either too complex, or too difficult to use. No matter the case, this will affect user experience. People don't like to read long manuals these days. In fact, they don't like to read at all! So, do your best to ensure that your product is self-explanatory. Always break down complex processes into easy to understand, step-by-step sequences. 2. Ensure that your product works as expected. If it is a website, ensure that all its pages load properly. It's so frustrating to see that even huge companies which operate in the IT sector have product set up guides that lead to nonexistent pages. Don't be like them! If your smart phone app has 20 functions/options, be sure to assign each one of them a specific action which does exactly what's expected from it. Don't ever release an unfinished product, because your potential customers will hate you for it. 3. Allow the users to make mistakes. Yes, people will pick a wrong option every now and then, and only realize it afterwards. Or maybe it wasn't their fault! Maybe the options they had at the beginning weren't clearly explained, and they realized that later on. No matter the cause, allow the users to return to the previous app steps. Make use of "back" and "next" buttons in all your products. And to keep people happy, ensure that their input data doesn't get lost while they move from one page of your application to the other. 4. If you are a web designer, be sure to implement sitewide search boxes. Give the people a chance to find what they're looking for, no matter on what website page they are at the moment. 5. Allow your users to return to the main screen or homepage anytime they want to. Maybe they had to click 10 times in order to get to one of your e-commerce products; don't force them to click their browsers' "back" button 10 times to return to the homepage. 6. Test your product thoroughly. Run A/B tests, and examine your customers' experience. 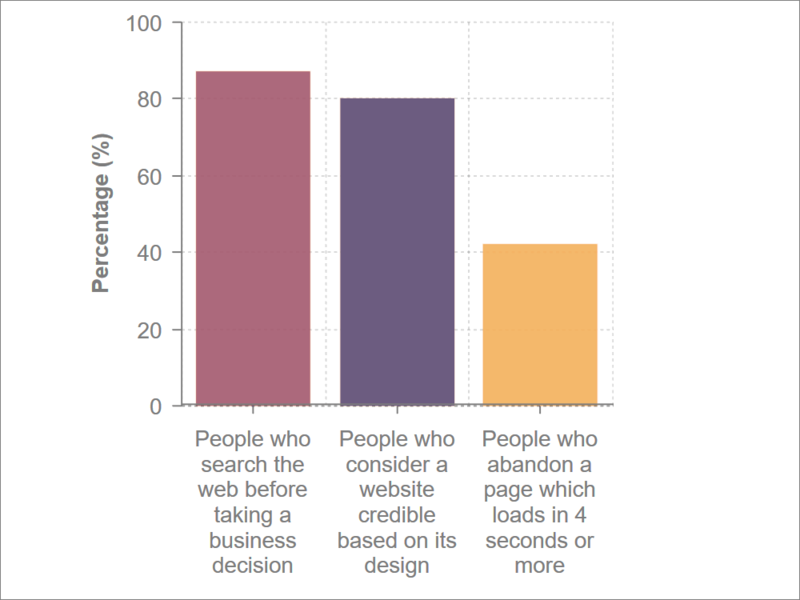 Use services like this to determine what people do on your website. If your budget is limited, get your friends and relatives involved. Ask them to use your product, and have them speak loudly what they think about it while they're using it. Focus the attention on the negative aspects of their UX, and then fix them. As you can see, great UX involves a lot of work. However, designing a product that works well and pleases a large user base is a very rewarding, profitable experience.